How do I filter the calendar by employee? 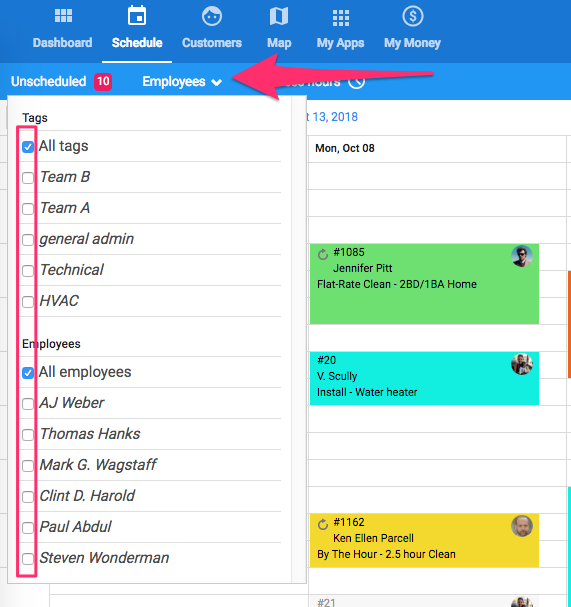 Choose which employees' calendars you're viewing to make scheduling a breeze. You can select individual calendars or type of employee, based on the employee tags you've set up. To filter the schedule, go to the calendar by clicking the icon at the top of your web portal. 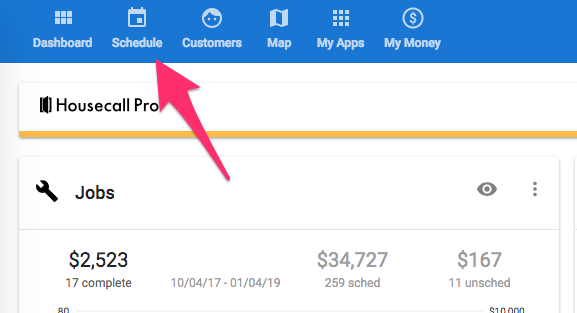 Once you're on the calendar view, click the 'Employees' button toward the top left. This will show you a drop down menu where you can select the calendars you'd like to view. Check the box next to any employees or the tag that you would like to filter by. The calendar will then update to reflect those changes and only display the calendars of the employees you have selected. When it is correct, just click away from the drop down menu to make is disappear.